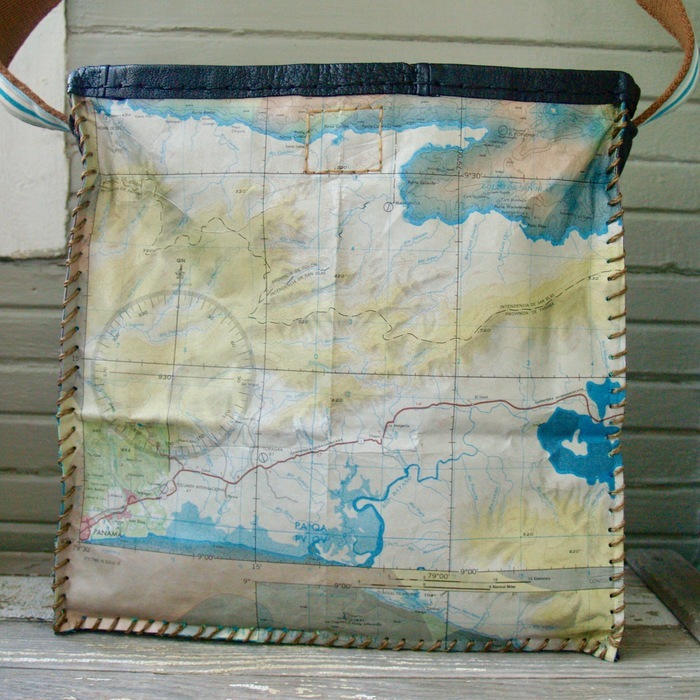 A large tote made from a tyvek military evasion chart of the Panama region, repurposed leather/suede, and belts. Lined with colorful batik cotton. 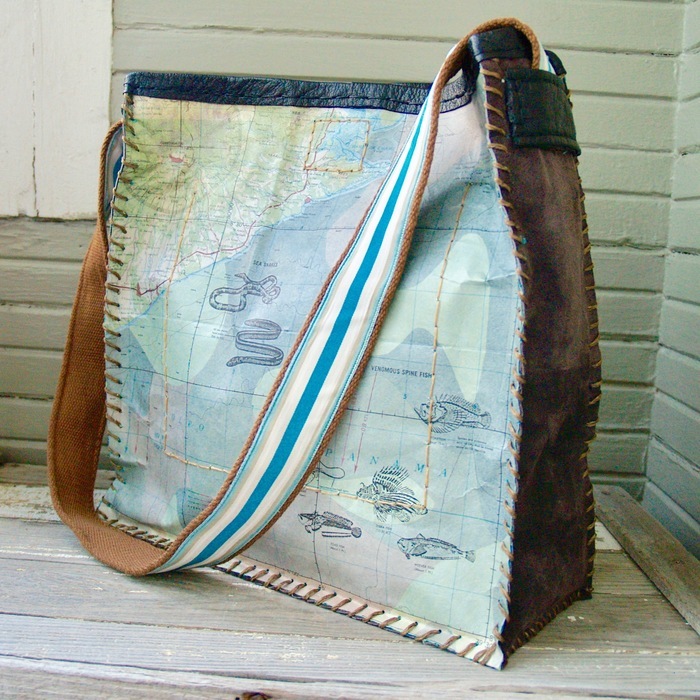 Large interior pocket. Magnetic snap closure. Hand sewn.